Island Night – A night made by families, for families! Here at CIDANZ we’ve always kept the values of families at the center of everything that we do, including Island Night. Created as a safe space for all of us to come together and eat, sing, laugh and enjoy everything that makes us who we are, Island Night has grown not because of what we have done as a an organisation, but what our families within our organisation has done to make this night possible. The night began as a way for our enterprising families, those not quite ready to get into business, to gain business confidence and trade in a market that they were comfortable in. Through this we have seen families set mouth-watering menu’s, investing hours, time and dollars into make those menu’s come to life, attracting friends and families to Island Night, and at the end of it, reinvesting in the next Island Night. Island Night has also been the host of our arts including being the witness to beautiful performances by Te Au Moana Dance Troupe, and MBrace Pacific Dance Group. It has seen the crafts of several Mama’s, and a fashion line from Varu owned and operated by Richard Tekeu. Island Night has belted out some Cook Island music classics, and housed many performances, creators, cooks, and bakers. The only investment our organisation makes into the night is staff time to set-up, a venu and a food truck. Otherwise, Island Night is owned and operated by families for families. We’re so proud of our community for coming together to make this happen. If you are in Auckland, pop-in every Friday, 5.00pm till late – and see what our families have to offer. http://www.cidanz.co.nz/wp-content/uploads/2017/10/Header_v3.png 0 0 Janet Akai http://www.cidanz.co.nz/wp-content/uploads/2017/10/Header_v3.png Janet Akai2019-04-01 14:30:482019-04-01 15:18:55Island Night - A night made by families, for families! 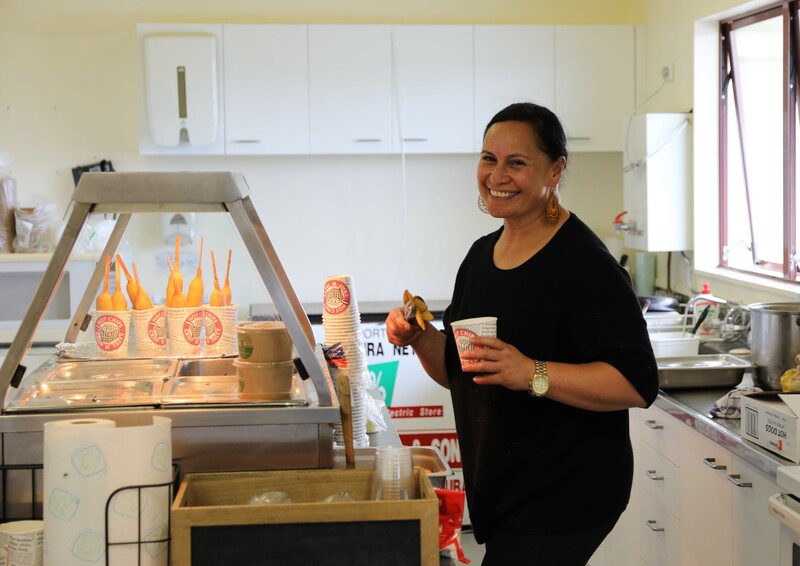 Following the success of our food cooperative model at Papakura Netball Center in 2018, was the renewal of the contract that this weekend, saw two new families operating the cafeteria area’s. 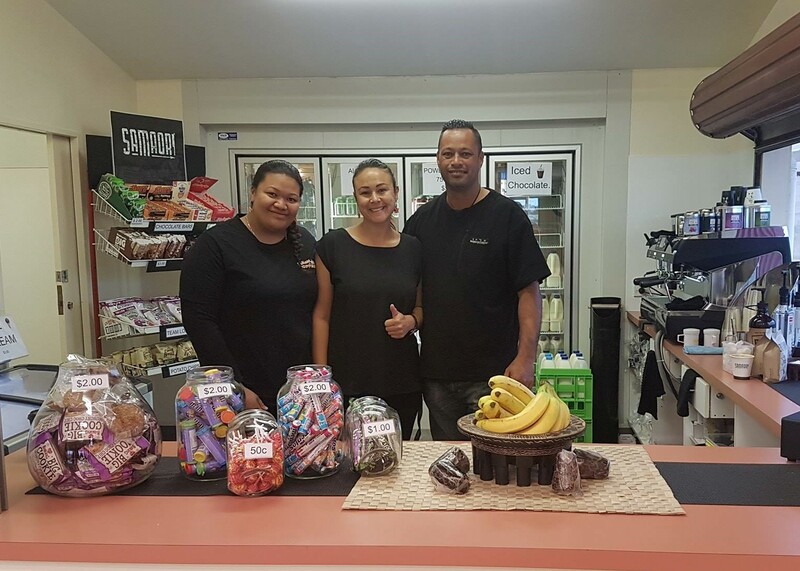 They were Kai Tupuna, owned and led by Cook Islands mother-daughter duo Tearoa & Michelle Potoru; and SaMaori, owned and operated by Samaon/Maori power couple Jessica and Paul Rawiri. Our food cooperative model is simple. Families become an affiliate to our organisation, granting them access to all our skills and services. Based on their business focus, they enter our enterprising program and work towards either becoming an established business or expand on their current business. CIDANZ then seeks out real opportunities for families to tests their products and services in. Based on the return from opportunities, families begin to achieve their financial goals, and meet their financial outcomes. Depending on the investment of CIDANZ into the families and opportunities, a percentage is brought back into the organisation. Those earnings are then re-invested into the program to help new families. During this process we are inspired by the families, learn more from them and add a little more to our basket of knowledge. We are proud to welcome SaMaori to the fold, and even prouder to see Kai Tupuna continuing to do what they do best. 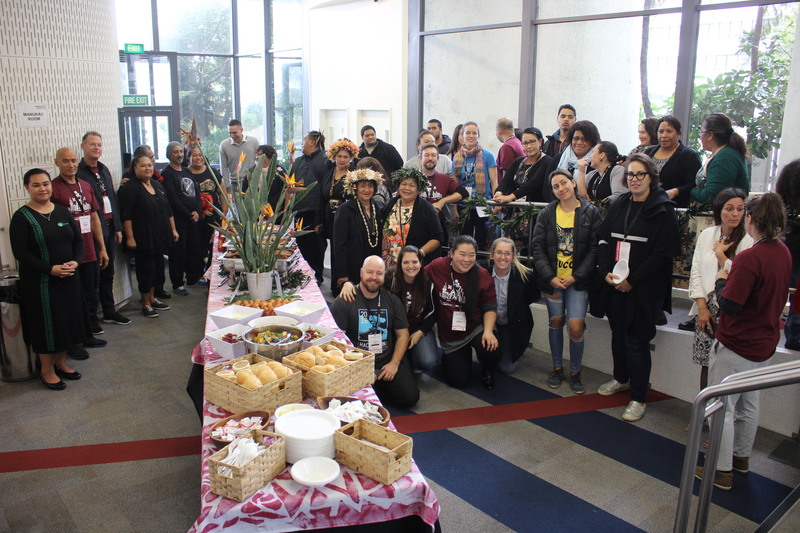 Four Pacific families – Cook Islands, Tonga, Samoan, and Niuean came together to deliver a rich experience of authentic Pacific food for the Pacific Start-Up Weekend Auckland funded by Pacific Business Trust. In 54 hours, attendees experienced the highs, lows, fun, and pressure that make up life as a startup. They also learned how to create a real company, have the opportunity to meet the very best mentors, investors, co-founders, and sponsors all equipped with the right tools to enable a successful startup. With the oversight of a professional chef, CIDANZ oneBASKET families, who are startups themselves, provided a menu that took Pacific food to another level. Some of the traditional dishes they served was Takihi, from the island of Niue made from layered slices of pawpaw and taro, then layered in rich coconut cream. They also served Umu often served on Sunday’s in Samoa, filled with perfectly steamed chicken, lamb, pork, stuffing, and the essentials – kumara, potato, and pumpkin. 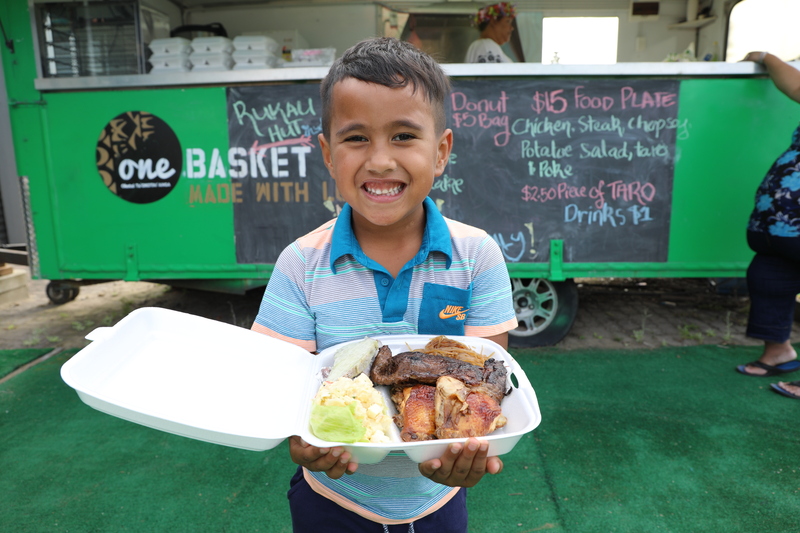 They also served Cook Islands favorites – Mainese – pink potato salad, donuts, and rukau mamoe – taro leaf cooked in spices, coconut cream and lamb. From Tonga goers of the conference tasted the rich lu bites, a pacific twist on canape’s, made with taro cuts, taro leaf cooked in coconut milk, cooled, then folded through with cream cheese and dill. The mixture is then piped onto the taro cuts. Families also tested new products, the MochAtiu Brownies infused with Atiu Coffee; and Maria’s Mini’s, a collection of Cook Islands treats in bite size. In the lead up to the event, the families met to set the menu, and decide who was bringing what to the table. http://www.cidanz.co.nz/wp-content/uploads/2017/10/Header_v3.png 0 0 Janet Akai http://www.cidanz.co.nz/wp-content/uploads/2017/10/Header_v3.png Janet Akai2018-05-31 17:30:062018-05-31 17:57:41oneBASKET Families - A Weekend of "Soul Food"